One week to go until Who Do You Think You Are? Live & the 1939 Tea Rooms! The world’s biggest family history show, Who Do You Think You Are? Live is taking place at Birmingham’s National Exhibition Centre from the 16-18 April, and we’d love to see you there! This year Findmypast is celebrating the forthcoming release of the 1939 Register by offering an extra treat at the event, in the form of the 1939 Tea Rooms. We'll be serving period-style refreshments in an authentic pre-war setting, complete with nippies and dickie-bowed maitre d'. 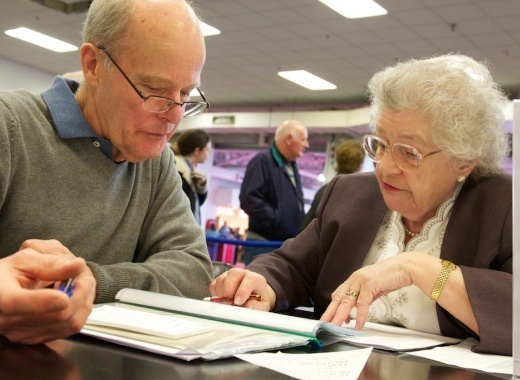 Our enthusiastic team will also be on hand to answer your questions about the register, the most extensive family history publication since the 1911 census. Covering the civil population of England and Wales in September 1939, the 1939 Register offers a unique snapshot of Britain on the outbreak of war. It was used to issue ration books and identity cards, and contains a wealth of information about millions of individuals. So, pop along to the Tea Rooms, travel back in time, and start getting into the 1939 spirit with us over some crumpets! Whether you’re just beginning your family history journey, or an experienced researcher hoping to break down brick walls, Who Do You Think You Are? Live will help you discover more about your family’s past. You'll be able to meet the Findmypast team and access all our historic records for free on the our stand. We're also hosting a range of fascinating free talks on a range of topics from our experts. We promise you won’t leave the show without having discovered more about your family history! We'll be posting daily updates here on the blog as well, so even if you can't be there in person, you won't miss out on all the action.